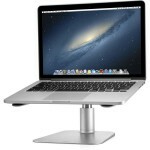 Known as the elite Apple accessories brand, Twelve South are constantly coming up with design innovations to compliment your Apple Technology. The creation of their BookBook range is no exception. Becoming one the most hotly sort after accessories, Twelve South expanded their range to include BookBook’s for the iPad, iPhone 4/4S, MacBook Pro and the MacBook Air. All uniquely beautiful in their own way. 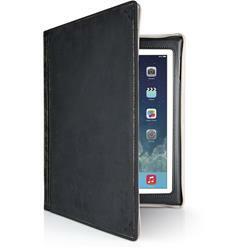 Now Twelve South have launched two new lines, a Black version of their original Twelve South BookBook Leather Case For iPhone 4/4S and the Twelve South BookBook Volume 2 Leather Case For iPad 3 and iPad 2. 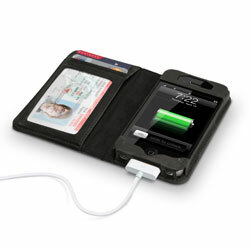 The Twelve South BookBook Leather Case For iPhone 4/4S – Classic Black is similar to its predecessor, the Twelve South BookBook Brown Leather Case for iPhone 4, only it features a classic black leather design as opposed to the original brown. Incorporating all the same features that the original Twelve South BookBook Brown Leather Case for iPhone 4 did, the Twelve South BookBook Leather Case For iPhone 4/4S – Classic Black is the ideal solution for carrying your essentials with you. 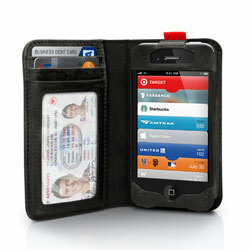 With a secure slot for your iPhone 4 or iPhone 4S on the one side and handy wallet section on the other, the Twelve South BookBook Leather Case For iPhone 4/4S – Classic Black gives you space for cards and notes as well as a useful see through screen perfect for your ID card or a photo of a loved one. Handmade from genuine leather, each of the Twelve South BookBook Leather Case For iPhone 4/4S – Classic Black will be unique. 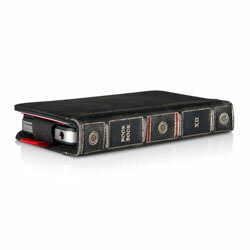 Whilst the Twelve South BookBook Leather Case For iPhone 4/4S – Classic Black oozes style with its vintage book design, it also offers your iPhone 4 or iPhone 4S the ultimate protection. Encased between two hard-back covers, your iPhone 4/4S will be kept safe and scratch free. The Twelve South BookBook Leather Case For iPhone 4/4S – Classic Black also allows you access to all the functions, ports and controls on your iPhone 4/4S, with a handy tab on the top for you to slide your iPhone out to use the camera, perfect! Twelve South’s second new BookBook is a re-working of their original Twelve South BookBook Leather Case for iPad and iPad 2, only this time it will fit the iPad 2 and the brand new iPad 3. 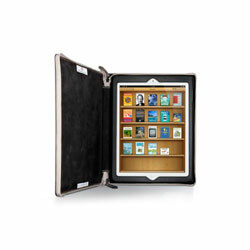 Known as the Twelve South BookBook Volume 2 Leather Case For iPad 3 & iPad 2, this new BookBook is sure to offer you everything you are looking for in an iPad 3 case, style, protection and an undeniable wow factor. 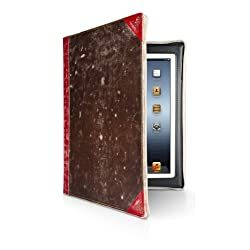 Similar to all other BookBook’s in the Twelve South Range, the Twelve South BookBook Volume 2 Leather Case For iPad 3 & iPad 2 looks like an old, worn vintage book, giving it ampuls of style and character, as well as setting it apart from any other iPad 3 case on the market. 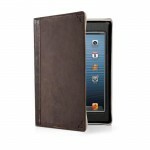 What’s more is that the genuine handmade leather of the Twelve South BookBook Volume 2 Leather Case For iPad 3 & iPad 2 ensures that it is extremely long-lasting, protecting as well as beautiful to look at. The new Twelve South BookBook Volume 2 Leather Case For iPad 3 & iPad 2 features an interior support frame that holds your iPad 3 securely in place and then adjusts to two viewing angles, one perfect for watching films and using FaceTime, the other for typing and browsing. 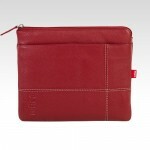 Also, the soft suede interior cushions your iPad 3 while the hard backed leather outer protects it even more so. 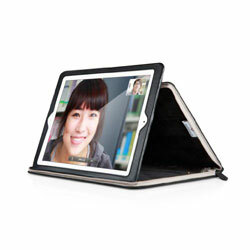 Reinforced corners and dual zippers all contribute to this being one sturdy iPad 3 case. The zipper also allows you to only need to open it slightly in order to connect your headphones or charging cable, whilst still keeping your iPad 3 in the Twelve South BookBook Volume 2 Leather Case For iPad 3 & iPad 2. 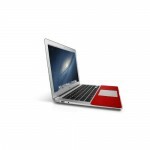 One of the key benefits of the BookBook range is security. Twelve South promote the discreet and protective nature of the Twelve South BookBook Volume 2 Leather Case For iPad 3 & iPad 2 as being one of its key plus points. No longer will it be obvious to those around you that you are carrying or using an iPad whilst out and about. Also, whilst at home, the Twelve South BookBook Volume 2 Leather Case For iPad 3 & iPad 2 can be stored on a shelf, looking exactly like an old book amongst all your others should you ever be unfortunate to have a break-in. 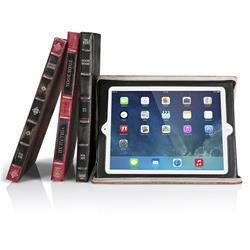 The Twelve South BookBook Volume 2 Leather Case For iPad 3 & iPad 2 is the perfect case for anyone wanting style, protection and a whole load of elegance when it comes to protecting and using their iPad 3. 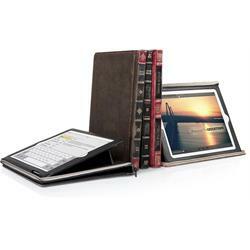 The Twelve South BookBook Volume 2 Leather Case For iPad 3 & iPad 2 is available in Brown, Black or Red.